Hillary Clinton has come out in support of rescheduling marijuana at the federal level, a proposal that would significantly liberalize federal marijuana policy. Perhaps not coincidentally, Clinton announced this position just days after Bernie Sanders introduced a Senate bill to remove the federal ban on weed altogether. Martin O’Malley, the third Democrat running for president, also supports more lenient marijuana laws. So, which of the Democratic candidates is the most pro-weed? Here’s the quick answer: Sanders supports removing all federal bans on marijuana use; O’Malley supports medicinal but not recreational marijuana; and Clinton supports medicinal marijuana but wants to “wait and see” about recreational. But there’s a lot more to the candidates’ stances on marijuana policy than just that. First, let’s take a look at how federal drug policy works. Illegal drugs are placed into one of five categories, or “schedules,” based on their perceived level of risk and medical application. A drug that’s put into Schedule 1, for example, is officially defined as having “no currently accepted medical use and a high potential for abuse.” Schedule 5 drugs, meanwhile, officially have “lower potential for abuse” than any of the other drugs and are openly and legally used in medicine. Marijuana is currently a Schedule I drug, meaning that the federal government officially considers it amongst the most harmful drugs in existence. Cocaine and methamphetamine, meanwhile, are in Schedule II, which is an infuriating but nonetheless accurate microcosm of America’s utterly nonsensical drug policy. But, we digress. Because this is the system that governs drug policy, the most drastic way to liberalize marijuana laws would be to simply remove the drug from the drug schedule altogether. This would effectively eliminate the federal ban on marijuana and leave the issue completely up to the states. This is Sanders’ position. He introduced a Senate bill earlier this month that would take marijuana off of the federal drug schedule entirely, and so he is, without question, the most liberal Democratic presidential candidate on marijuana issues. Clinton and O’Malley, meanwhile, support a less drastic but still significant change to marijuana laws. While neither of them are sitting lawmakers, meaning they can’t introduce any bills, both have recently come out in support of reclassifying marijuana to Schedule II. If this were to happen, weed would still be illegal — but, crucially, it would be legal to conduct federal research into the drug’s medicinal properties. A Schedule I designation precludes this possibility, but Schedule II drugs are fair game for medical research. In short, all of the Democratic candidates support moving federal drug policy to the left. While the Sanders’ plan is the most radical, Clinton and O’Malley’s proposals, if enacted, would be historic as well. 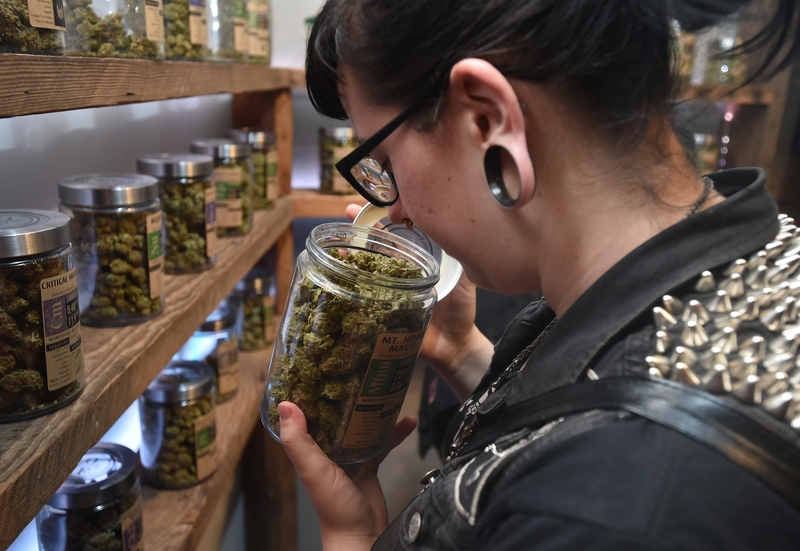 The federal government has officially regarded marijuana as one of the the most harmful drugs available since 1970, when President Richard Nixon signed the Controlled Substances Act. A lot has changed since then, but federal marijuana policy hasn’t. If any of the three Democrats running get elected president, it will.